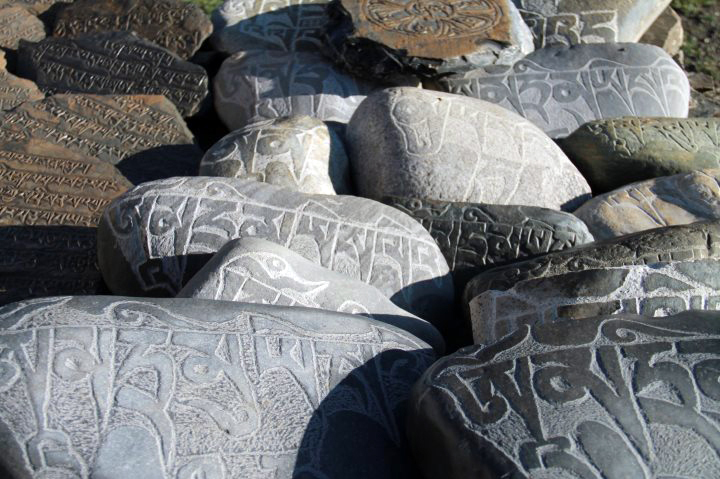 Stones carved with the mantra OM MA TRI MU YE SA LE DU bless the landscape in Dolpo, Nepal. Posted on June 6, 2014, in Prayer and Ritual, Uncategorized, Yungdrung Bon Sacred Symbols and tagged Asian studies, Dolpo, Nepal, spirituality, yungdrung bon. Bookmark the permalink. 1 Comment.